THERE are two ways to make a box-office smash. One is to take an exciting script, hire famous actors, shoot a rollercoaster of a film, distribute it widely and market it deftly. This is the Hollywood way, and it worked pretty well for Harry Potter. The Beijing way shares some features with the Hollywood way, such as hiring lots of stars and distributing the film widely. But the magic ingredient behind China’s latest blockbuster was one unavailable to the mightiest Tinseltown mogul. It was the power of the party. 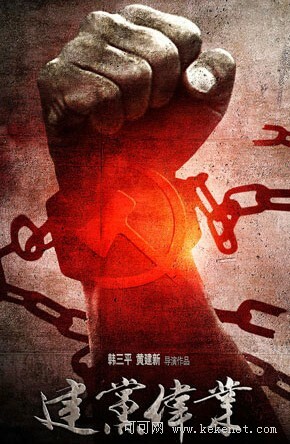 “The Beginning of the Great Revival”, a celebration of the founding of the Communist Party, opened at every cineplex in China on June 15th, in time for the party’s 90th birthday. Competing films with a shred of drawing power were blocked, even the awful “Transformers 3”. Many state-owned firms ordered their staff to attend. Schools organised trips so that pupils could watch and learn from the exploits of a youthful Mao Zedong. Government departments deployed waves of bureaucratic bottoms to fill seats. Online reviews alleging that the masterpiece was rather dull were censored. Success was assured. The film was not, as you might imagine, a piece of government-produced propaganda. It was a piece of for-profit propaganda, produced by the country’s biggest film company, the China Film Group (CFG). Along with a smaller firm in which it holds a 12% stake, CFG controls more than half of all domestic film distribution in China. The two firms also distribute the 20 foreign films that China allows in each year. CFG spins tales of love, disaster, war and kung fu, of course. But the easy money is in patriotic pap. In recent years, the firm has produced “Nanking! Nanking!” (about heroic Chinese resistance to Japan during the second world war) and “The Founding of a Republic” (about the Communist takeover in 1949). Such films are profitable partly because their stars do not expect to be paid much, if anything. About 100 famous actors worked for nothing on “The Founding of a Republic”. An even more impressive 172 stars with Chinese ties signed on for “The Beginning of the Great Revival”, for compensation that, according to the director, amounted to less than the cost of lunch boxes for the crew. “The Founding of a Republic” cost 30m yuan ($4.6m) to make and brought in a tidy 420m yuan. “The Beginning of the Great Revival” cost 80m yuan, but has been a bit of a disappointment at the box office, having brought in only 340m yuan so far. Still, that is a return that would thrill any investor in Hollywood. Cinema in China is booming (see chart). In 2010 box-office revenues grew by 64% to just over 10 billion yuan. More than 520 films were made—about as many as in America. Only India produces more. China boasts the world’s largest outdoor film studio, called Hengdian World Studios, which includes a full-scale mock-up of the Forbidden City. Tickets to Chinese cinemas are costly—about 80 yuan at weekends. The lack of copyright protection means that almost all revenue must come from the box office rather than from DVDs or television. Audiences are paying for the experience of an afternoon away from their cramped apartments, rather than simply to see the film (illegal versions of which are widely available). Cinemas are clean and airconditioned. Many have state-of-the-art screens and sound systems. The snacks are quite good, too.